Rabbinate says that singer Nasreen Qadri converted through independent program, will not be recognized as Jewish. Israel's Rabbinate clarified that popular Israel-Arab singer Nasreen Qadri will not be recognized as Jewish after she announced to her fans on Thursday that she had undergone conversion. Qadri finished her conversion on Monday. The process ended with a dip in the mikvah and a festive meal under the direction of Rabbi Dudu Dery, who accompanied and led the conversion process of the singer. The Rabbinate said that it would not recognize her conversion as she had not converted under its auspices. 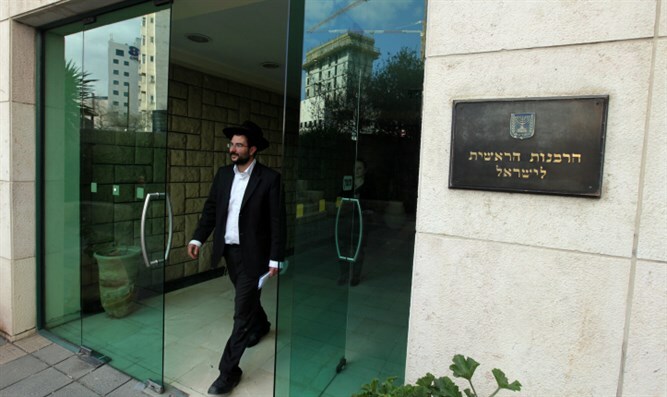 By Israeli law, all conversions must be done through the Rabbinate, meaning that Qadri will still be registered as an Arab in the Interior Ministry. Following Qadri's announcement that she had converted, the Lehava anti-assimilatoin group called on Israel to "end pirate conversions" and alleged that Qadri had only joined the Jewish religion in order to marry her boyfriend. "Following media reports about the alleged conversion of singer Nasreen Qadri, after a clear examination it was found that conversion is not recognized in the State of Israel by the Chief Rabbinate and the Ministry of the Interior and it is unnecessary to note that conversion that does not include acceptance of the yoke of Heaven and Mitzvot has no validity," said Lehava in a statement.